Juno-winning and Polaris-nominated rapper K'naan has kept a lid on new material since the release of his renowned Dusty Foot Philosopher in 2005, having only released a live album in the four years since then. That will all change on February 24, when the Toronto-by-way-of-Somalia poet drops Troubadour. While info about the new release is scarce, K'naan posted a MySpace blog last year mentioning that he was recording with Damian and Stephen Marley at Tuff Gong Studios in Jamaica. Whether or not those sessions were included is anyone's guess, but new track "ABCs" can now be heard on K'naan's MySpace page. 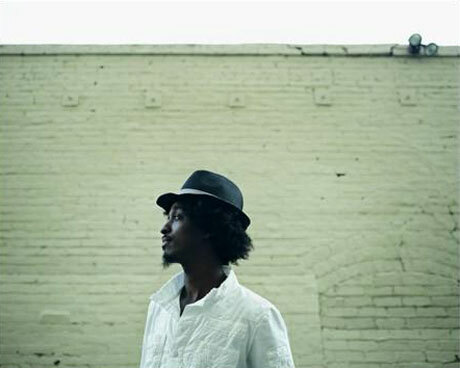 K'naan has also announced a string of North American tour dates. Kicking off at the University of Ottawa on January 30, he'll tread his dusty feet around the continent, making Canadian stops in Guelph and Vancouver while crisscrossing through the States.